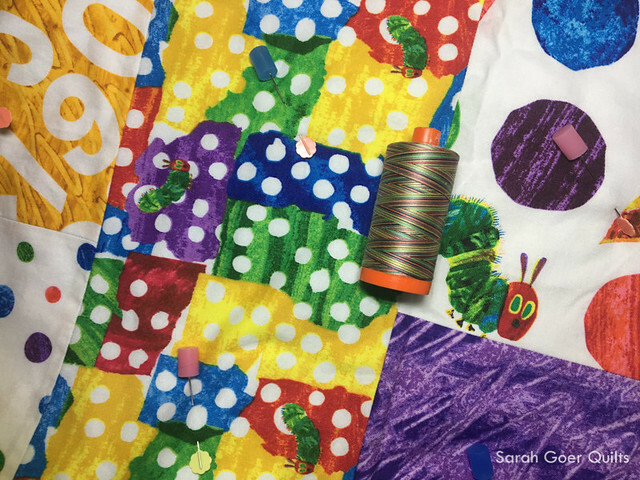 For those of you who follow along with my quarterly WIP posts, you already know that my twin-sized Very Hungry Caterpillar quilt for my son has been languishing in the finished quilt top state for... let's just say quite some time. He does have a cuddle quilt I made for him, but it's about time I finish his bed quilt. After all, he did make a twin-sized bed quilt for his sister. December is the month. I'm gonna get this one quilted and bound so G can have it on his bed. The quilt is basted. It has been for a while. And I've got a quilting plan. I'll be using the rounded square spirals I used on this smaller version, also in the Marrakesh Variegated Aurifil 50wt. The size of the project is just daunting to me. I know it's possible. (Leah Day says so.) But, this will be the largest quilt I've quilted on my domestic machine, which has a 7" throat area. Do you quilt large quilts on your home machine? 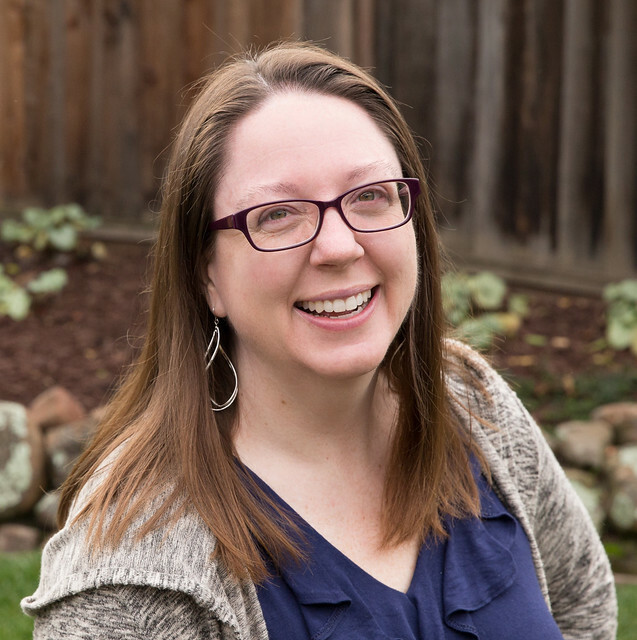 You might enjoy Jessica Skultety's Top 10 Tips! The one I'll really be focusing on for this project is to work in short chunks of time. Check out my progress so far. I'm linking up to December OMG on Elm Street Quilts. Posted in Quilting. Tags: goals, One Monthly Goal on December 4, 2017 by sarah. What a fun quilt this is! I agree with the tip to work in small chunks of time! Thanks for linking up with Elm Street Quilts One Monthly Goal and good luck with your project. Thank you, Patty. There's something about putting that goal out publicly that makes it more likely for me to achieve it. Thanks for hosting! I know you can do it, and I bet that as you take it in small chunks of time it will get done before you know it. I think the thread choice is fun and going to look great! Thanks, Yvonne. I'm hoping to get at least a small section done today. Baby steps. For something that is daunting I like to make sure I've exercised or walked before to clear my head. Also have lots of bobbins wound, that could easily make me stop. Finally my favorite album playing in the background. Can't wait to see it. Good luck. I think that's a great quilting choice. Looking forward to seeing it when you're finished. Thank you, Anja! I hope I can show it off soon!